VCs are investing in space companies in far greater numbers – could private overtake government spending? The sheer number of pressing challenges facing our planet can make it easy to forget the rest of the universe. But as a packed schedule of launches blasts ever more craft into the great beyond, we take a moment to explore the role space could play in humanity’s future. Space is just 80 miles away from every person on Earth. As political scientist Daniel Deudney once observed, that’s closer than most people are to their own national capitals. And yet, in the four decades since our first giant leap, the great beyond has slowly drifted out of the world’s consciousness. 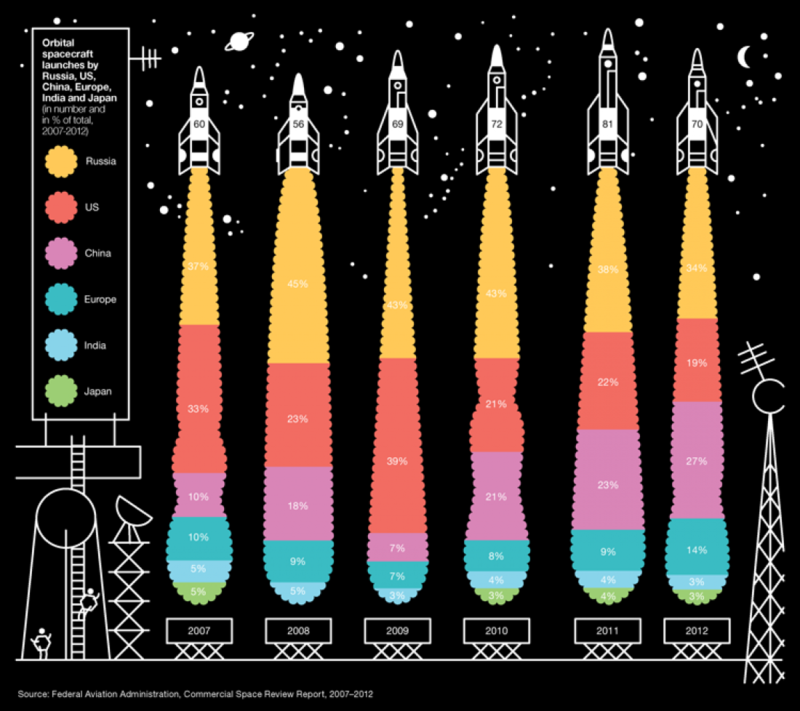 But a different kind of space race could be about to change that. 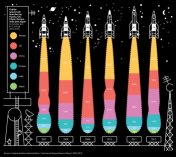 As Voyager-1 explores new frontiers beyond our solar system, growth in space is becoming a far more accessible ambition for countries and organisations the world over. 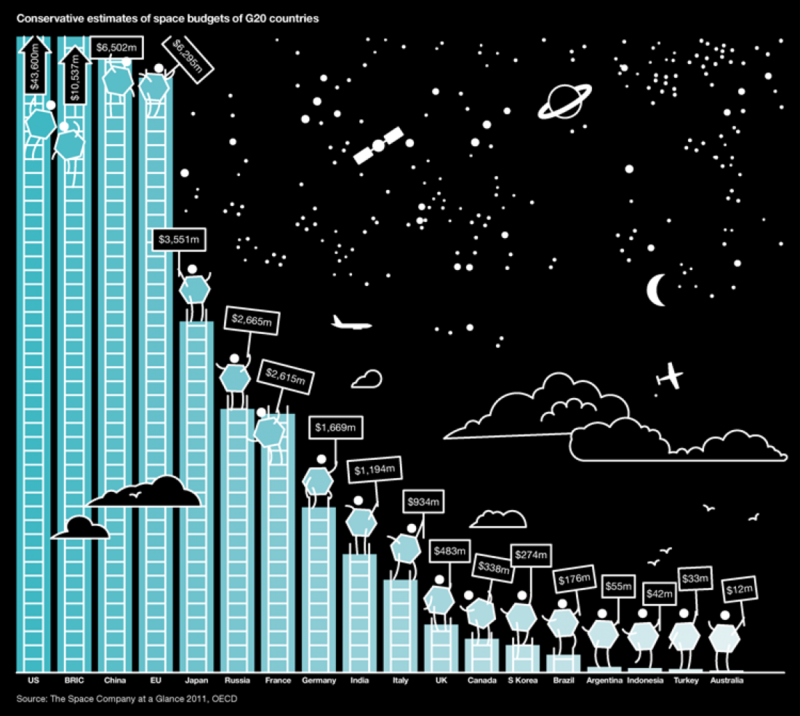 There are around 250 satellite launches scheduled for this year, almost 40% more than in 2010. 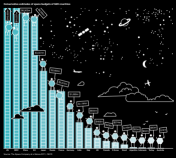 Such a steep growth rate reflects the benefits that a presence in space can bring to our daily lives on Earth; from public health and communications to agriculture and education, nations of all sizes are looking to the skies to improve life on the ground. All of which means that space is becoming an increasingly crowded place, both physically and politically. Traditional space players like Russia, the US, the European Union and China are becoming concerned that as the useful orbits become more congested and debris population increases, so do the chances of accidents. And that’s not the only geopolitical stress point: satellites also provide huge military advantages to countries that are trying to project power outside their own borders, a fact not lost on the world when China successfully tested its first anti-satellite missile in 2007. “When China became the third country to test an anti-satellite weapon, it caused real concerns about whether we’d be facing some kind of race around their use,” says Hitchens. PayPal entrepreneur Elon Musk’s SpaceX made history when his Dragon spacecraft carried out a successful mission to dock with the International Space Station for the first time in May 2012. Richard Branson’s Virgin Galactic has done much to reignite interest in space tourism, while Blue Origin, the company set up by Amazon founder Jeff Bezos, is also working to democratise space travel. And meanwhile other companies, such as Shackleton Energy Company, are looking to mine the moon and asteroids. I’m sure the CEOs driving this believe they’ll make money one day, but their primary rationale is to make the world a better place.